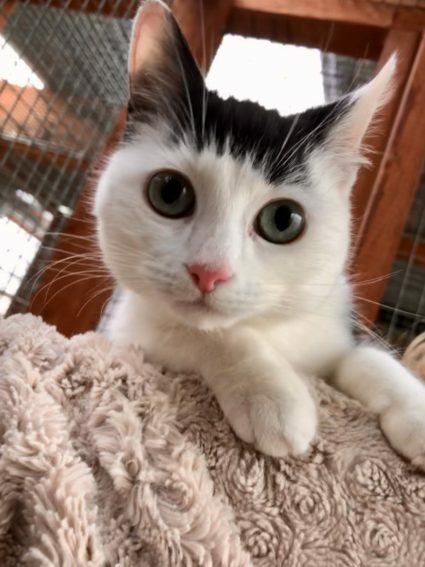 Gorgeous little Ailish was found in a lady’s garden in Dunboyne. The family has 3 beautiful cats and she either found her way there because they tend to find kind people who have cats already or she was dumped over New Year. Who knows. She was on social media but sadly never claimed. She is four months old and super friendly. Her coat is so soft and velvety and her eyes are an unusual shade of bluey green. It’s obvious she was with a family as she is so used to other animals and children. She will be vaccinated shortly now that she has recovered from her ordeal out in the cold weather all alone. She will need to be spayed in about a month or so.